What the heck is wrong with this picture? No not the tv picture, the advertisement! 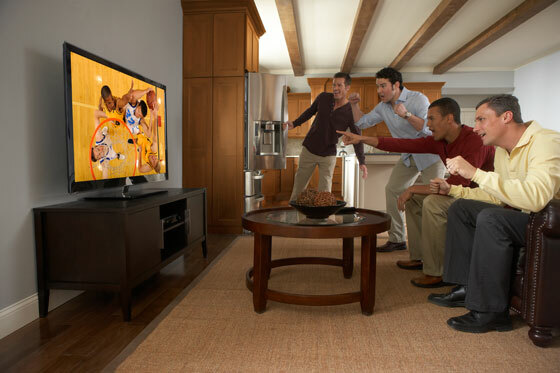 Why is it that television manufacturers always seem to advertise men enjoying the big screens? This ad for vizio tvs is a prefect example. Maybe they think women don’t enjoy watching big screen tvs or perhaps television is not as important to women. Not to mention the fact that sports are on the display. I grew up watching and participating in sports. Nothing better than watching your favorite team in an overtime situation on Monday Night football. Too bad we might not get to watch it this year. Oh sorry for getting off topic! Anyway, I take special offense to these ads because my midlife hubby is technically challenged. What button do I push for the menu? Why can’t I just change the channels like a regular tv? These ads are downright offensive! These TV advertisers are prejudice if you ask me. Do you all get these questions too? How about it ladies, am I right? NextSell Your Body – A Changing Economic Trend? Roy Kirkham China and Box Cutters huh?